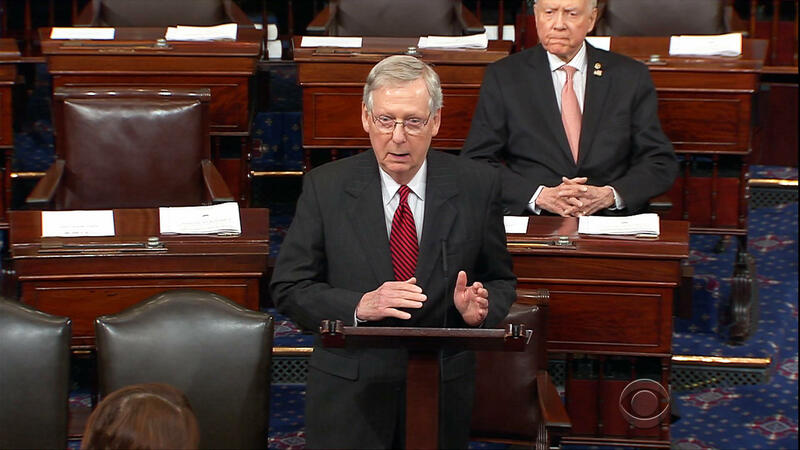 Senate Majority Leader Mitch McConnell said Wednesday that he doesn't know how Senate Republicans will secure a majority of votes to pass legislation to repeal and replace Obamacare. "Honestly I haven't asked for any [help]. I told the president there would be a point at which we might well want him and the vice president to be helpful," he said. His comments were published just after the nonpartisan Congressional Budget Office released a cost estimate of the House-passed American Health Care Act (AHCA) Wednesday that projects that 23 million more people would be left without health insurance over the next decade if the measure became law. The House-passed legislation would also reduce federal deficits over the next 10 years by $119 billion, CBO said Wednesday, which is less than the $150 billion CBO projected in a score of an earlier version of the bill.